We have just recently changed our training schedule. There are beginner and advanced classes offered 4 days a week. On Sunday mornings there are classes for beginners, advanced and children. Feel free to stop by any class to check out our training and ask questions. 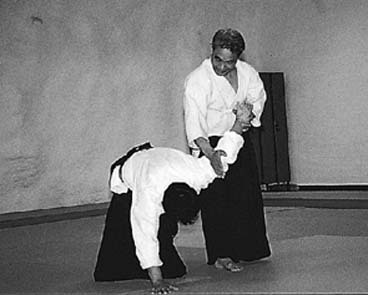 If you are new to Aikido and would like to train, all you need is a desire to learn and some patience. You also need a training suit and a T-shirt. If you want you can purchase a martial arts uniform (dogi). While we don't endorse any place in particular, we've found that the Judo gi has a very good quality for a training uniforms. But since the price is quite expensive, we suggest that you purchase a karate gi which has more reasonable price.